Stretch marks are the bane of women the world over, and indeed men as well! This DIY homemade oil can help to relieve and reduce the appearance of stretch marks. It is also wonderful in helping the appearance of scars, acne and other skin affiliations. 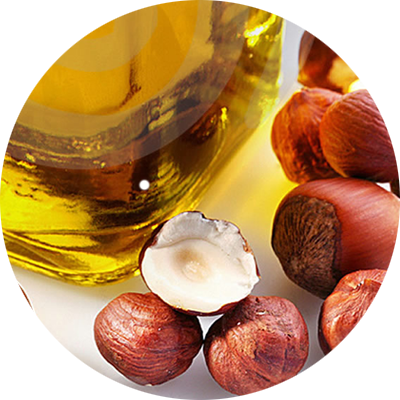 Hazelnut oil: This is an incredibly light, highly absorbing oil. Hazelnut oil like coconut, has an extremely high content of essential fatty acids, including Oleic Acid, Palmitoleic Acid & Linoleic Acid. These are proven to lock in moisture and are readily absorbed to help fortify and strengthen skin. It helps stretch marks due to it being an astringent, along with its high vitamin E content, these help to tone, firm and texture. A bottle with a dropper, such as this one. Simply mix all the oils together in the bottle and give it a few firm shakes, and you’re all set!! Store the DIY homemade oil in a cool, dry place and it will keep for about a year. You only need to use about 2-3 drops of this homemade oil at a time. Use twice a day, once in the morning and once again in the evening. Continue with this cycle for several months. If you are pregnant or nursing, it is not recommended to use essential oils for a long period of time. Please share if you’ve enjoyed this tip!